Sometimes, obsession is a good thing. What we are referring to of course, is Koenigsegg’s obsession with weight savings, and giving exactly what customers are looking for… and then some. How about 1360HP in a car that weighs 1360kgs? Sure, why not. Formula 1 technology included? Absolutely. Incidentally, 1360HP equates to 1MW (megawatt), so effectively Koenigsegg may have just developed the first, not Supercar, but Megacar! that can pull 2G around a skidpad, do 0-400km/h in under 20 seconds and in case you ever begin to wonder how exactly the car is performing, it will provide all the information you would ever need right on your smartphone (more on this below). How cool is that? It is also fitted with GPS so that if you decide to take it out on the track (it is being built just for that purpose based on customer requests – but be careful of those carbon fiber wheels), drive around the track once, the GPS can learn the track and the next time around, make suspension adjustments on the fly as you drive around praying your face doesn’t get ripped off. Oh and when it comes to weight savings, almost everything, and we do mean EVERYTHING is carbon fiber, right from the monocoque to the wheels and even the suspension! Telenor Connexion provides Koenigsegg with an end-to-end solution including cloud services, a web interface and an app for smartphones and tablets. Using the app, Koenigsegg’s exclusive car owners will get direct access to statistics such as recent runs, average speed, top speed, lap time, g-force etc. Further, it enables them to remotely track the car, its fuel level and battery status as well as access the latest software. Oh and get this, you can even control the ride height and the angle of the wing using the smartphone app! 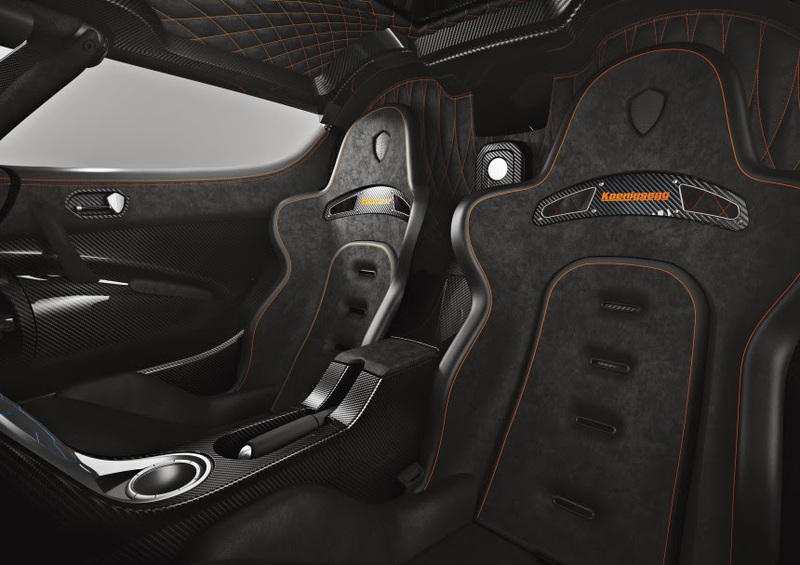 The benefits to Koenigsegg, besides the added customer functionality, is that the solution provides easy access to vehicle statistics and that it enables the manufacturer to optimize the vehicle’s performance remotely over time. It really does look like they have thrown conventional wisdom out of the window (as they usually do) and have completely redesigned what a car should/can be. Sadly though, there will only be 6 of these ultra-exclusive vehicles (that have already sold out), so good luck trying to see one in the flesh. For now, we’ll just be happy ogling at pictures of the One:1 and try not to let our jaw hit the ground. It does look like 2014 is the year of the Super/Megacar. 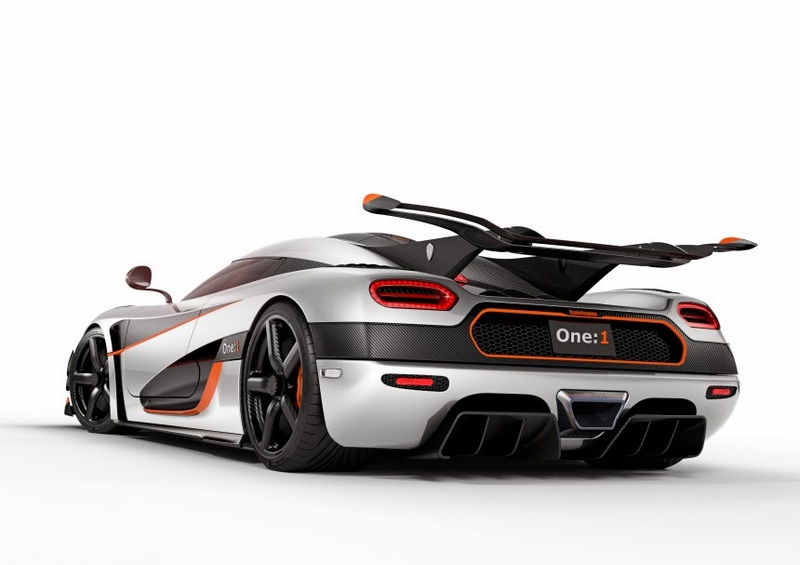 For more information and the detailed specifications of the One:1, visit Koenigsegg’s website.